Folks I bring you sad Christmas tidings. Upper Uwchlan Township is trying to close down a place near and dear to many of our hearts. Incredibly, Upper Uwchlan is trying to shut down the SMITHFIELD BARN. On so many levels, this is a big bag of wrong. From a practical standpoint, where will half of the township employees shop if they close down the barn? Most of them are customers are they not? The owner of the Smithfield Farm property prior to the Smith family tenure operated some sort of an antique store and often sold things out of the barn. So it’s nothing new. And the sales that go on there are glorified garage sales are not an everyday thing. At first my friends were told that there were some sort of neighborhood complaints. So the Smith family did what concerned neighbors naturally do: they went door-to-door asking if they have somehow upset a neighbor. I don’t know for a fact, because I haven’t done one, but I bet a freedom of information act request would turn up what exactly ? My opinion is not much. What I wonder about quite honestly is the Toll Brothers project pending next-door to the barn property the crosses Little Conestoga Road as well. Somebody somewhere told me that some kind of turtles were found on the property the developer had purchased, so if environmentalists are aware of that, wouldn’t that mean that project might be scaled-back? So I have to ask the question: does this sudden desire to shut down the occasional barn sales they have ignored for so long have anything to do with a developer? That would be a real shame if it did wouldn’t it? I assume all will be made clear eventually, but this now means the perfectly nice family is going to have to retain help to save their barn. Can I count on all of you out there to help? Can you please contact every supervisor and go to local meetings coming up? Call reporters you know? Are they going to outlaw yard sales in this township next? 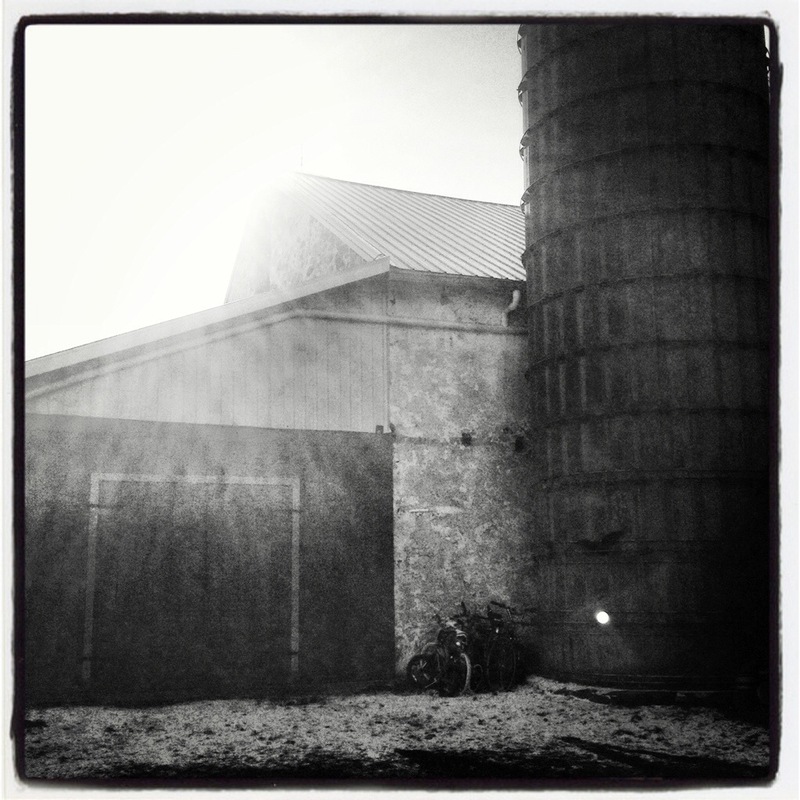 Please help save the barn! Upper Uwchlan just became as bad as West Vincent in my book with this. In Malvern borough they tossed some bums out with that writing campaign this past election season, maybe it’s time to consider that here as well do you think? 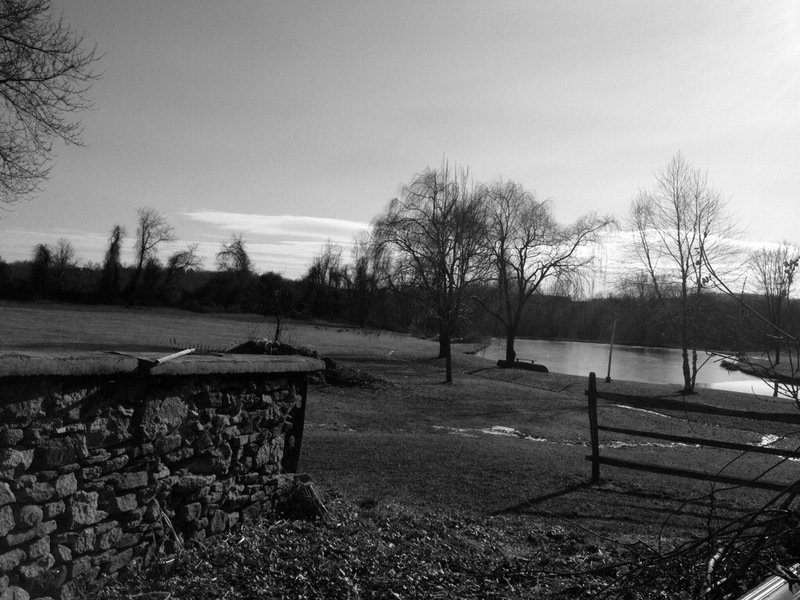 Barn sales and yard sales are part of Chester County life and a lot of fun. You should be allowed to continue. And this is a very nice family that I feel is being victimized by local government most unfairly. Well it’s Christmas Eve. Thought I would do my Christmas post now. 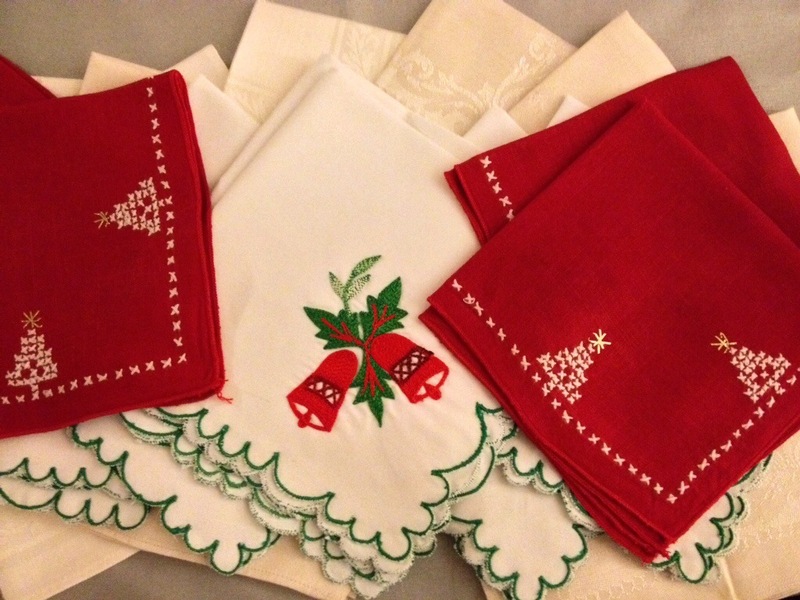 I was thinking about writing this post as I ironed Christmas linens for tomorrow. It has been a bustling day preparing for Christmas Day and welcoming people in and out of our home. Each time the doorbell rang, it brought a welcome surprise. Neighbors have popped by with their neighborhood gifts; my sister and niece and nephew are here from New York City and my cousin Lauren drove over from Bucks County. It has been a really cool Christmas Eve. It is days like this with all the simple pleasures that make you believe in the magic that is Christmas. My cousin Lauren is the eldest child of my cousin Suzy who died a few years ago from cancer. Suzy was in our house so often growing up that she was more like a big sister than cousin. She would have been so happy to see us altogether today – when Lauren was growing up we spent a lot of Christmases together. Suzy even planned caroling parties! The steady flow of family in and out today was so nice. I found myself thinking of many wonderful Christmases past. And when the blustery snow flurries blew in this afternoon it was just so darn perfect. Today for some reason I have been thinking about very traditional Christmas carols. Like the Holly and the Ivy . Anyway here is wishing you and yours a very blessed and Merry Christmas! My sister is vegan. I am a carnivore. So I’ve had to readjust my thinking so she has things to eat on Christmas. 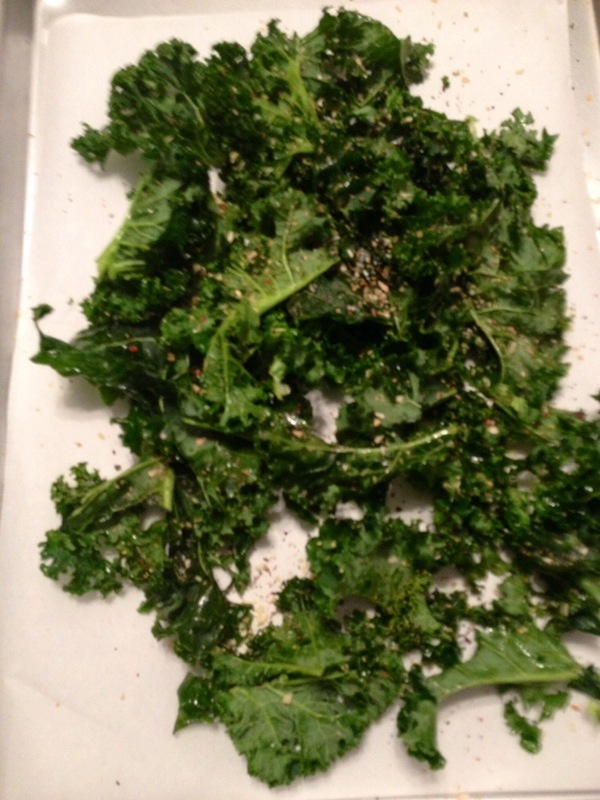 A big batch of hummus tahini- homemade – is already chilling, and kale chips are about to be made. 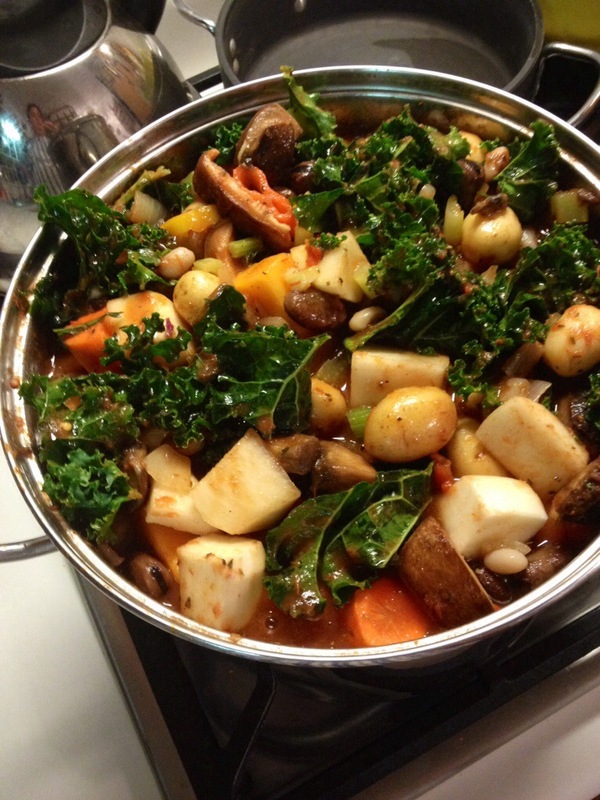 Bubbling away on the stove is a giant vegan stew. It smells pretty good. But wow, what a lot of work. Hope it tastes good…. And other things I need to think of still. Today I had some running around to do and ended up at the Wayne Farmers Market. It was insanely bustling, but I had forgotten how festive it was during Christmas! I visited one of the butchers there to get the makings for my country pâté, and I picked up some fresh herbs and other things including some Fragonard soap from The Blue Rooster. The Blue Rooster although not really food related is one of my favorite stalls in the farmers market –it’s always so pretty and their linens are so colorful and gorgeous. Visiting them is like a little mini visit to Provence! I came home after some more shopping, and put my pâté together and refrigerated it. I will bake it off tomorrow. 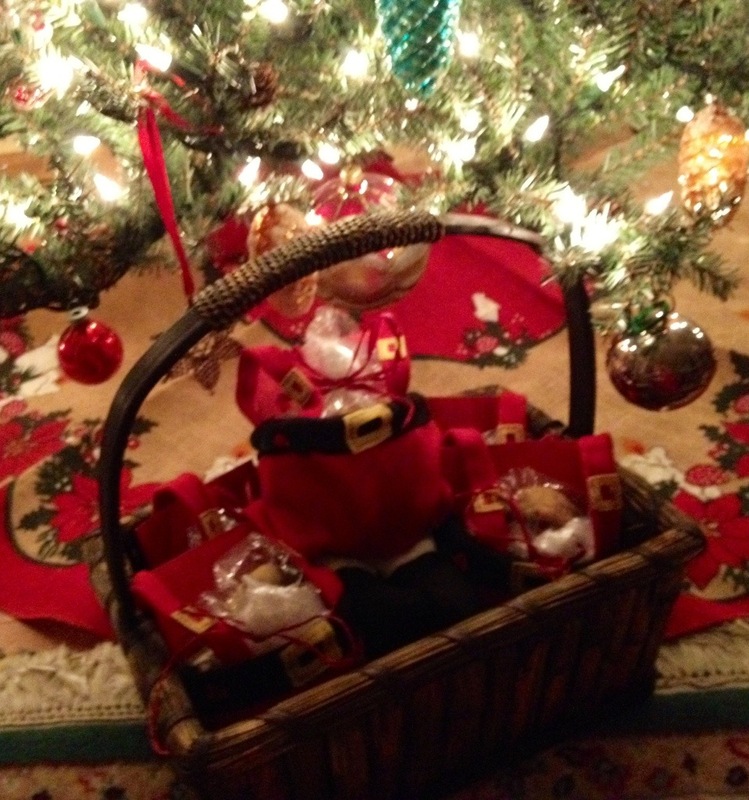 I also put together a bunch of little gifts for my neighbors. You see, my neighborhood has this awesome tradition of exchanging small presents with each other. Whatever your baking, candy you’re making, however the spirit moves you. This is such a nice little tradition and something that people just don’t take the time to do any longer. It’s a shame that more people don’t do little niceties like this any longer. I don’t mean to go bah humbug, but I need to remind people how the blog works. As opposed to people like Sarah Lockard, aspiring Main Line Diva wannabe and chatelaine of aroundmainline.com and many other bloggers, this is not a monetized blog. I don’t charge you a bunch of money for five little instagrams and an #adorbs tweet and so on. I write when the spirit moves me. Or I post photos and recipes. That is the formula: what hits me for whatever reason. There is no other method. If you want to reach the blog for OTHER than a comment on a specific post you can use the private message function of the Chester County Ramblings Facebook page. I can’t post everything, but try to look at everything for consideration. I don’t mind helping out in the community but I would prefer comment sections of specific posts not be hijacked for other commentary that is non-related . I don’t want to be put in a position where I delete comments. Also understand it is but a few days until Christmas so my time is more limited than normal. 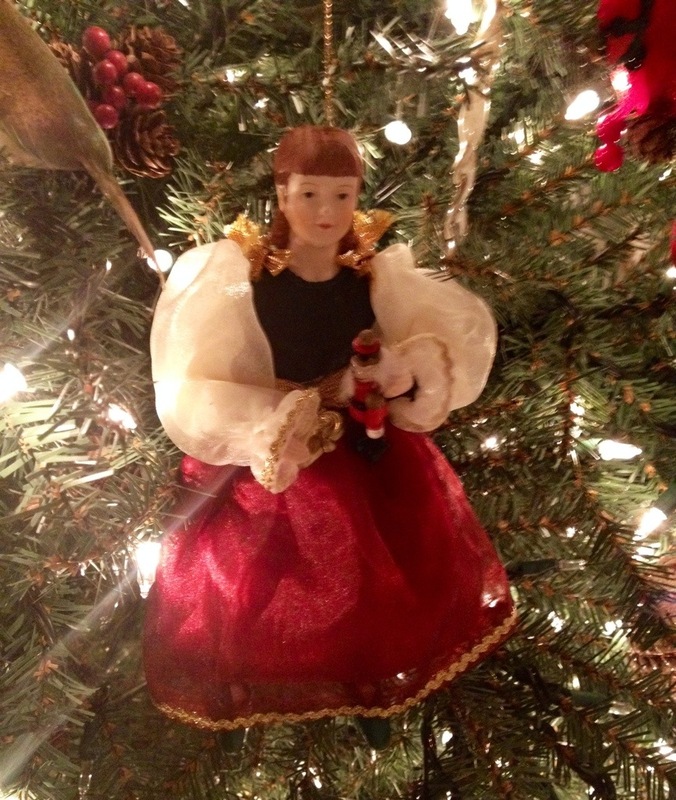 Thank you so very much for reading Chester County Ramblings and Merry almost Christmas!!! And if any of you ladies out there are looking for festive Chrsitmas flats, I will be consigning two pristine pairs of Mootsie’s Tootsies at Charmingly Linda’s in Frazer over the next day or so. 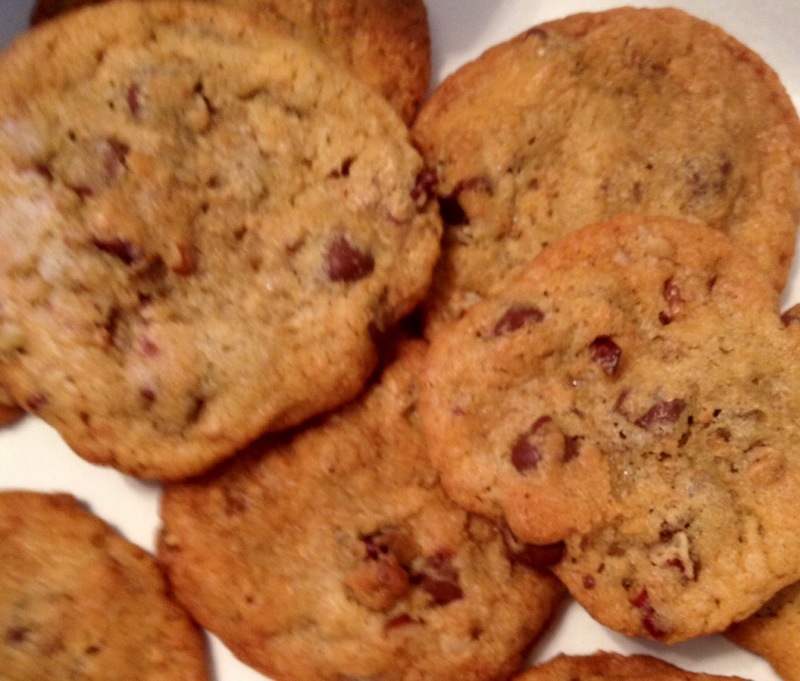 I have always loved chocolate chip cookies. I have spent the last 25 years tweaking this recipe, which is mine and not anyone else’s. My friend Ann asked me to share my recipe. So I thought I would. It has been a terrific pre-Christmas day I have been baking most of the day, and I also had a visit with my childhood friend and former neighbor Alexandra. We sat and drank coffee and caught up as I baked. She lives in upstate New York now, and comes down periodically to visit her family who live locally. Truly it was a perfect afternoon. I just love days like this. Measure out your nuts, chocolate chips, and Heath bars (if you are using them) in a bowl by themselves and set aside. Measure out all your OTHER dry ingredients EXCEPT the bran and mix together in a bowl and set aside. Get out another bowl for the wet ingredients. Using your mixer cream butter and sugar until fluffy. Add vanilla and almond extract at low-speed and mix well. Add eggs one at the time at low speed. When everything looks creamed not curdled, slowly add the flour, baking soda, baking powder, cinnamon, and salt about a half a cup at a time, mixing it low-speed. You will end up possibly having to mix this with a wooden spoon it may get too heavy for the mixer. Stir/fold in the nuts, candy, chocolate chips. Refrigerate dough at least one hour covered so it doesn’t dry out. Drop dough by rounded teaspoonfuls onto cookie sheets lined with parchment paper. Doughballs should be approximately 2 inches apart on the sheet. That means for each cookie sheet you will get 12 cookies. Bake at 375° for 10 to 11 minutes. Check on your cookies so they don’t over brown on the bottom. If your oven is uneven you may have to rotate your cookie sheets halfway through baking. When the cookies look slightly brown on the edges but golden and perfect in the center after 10 or 11 minutes, pull them out and allow them to cool for approximately five minutes before removing from the cookie sheet. Put the cookies on a wire rack to cool before putting in a tin. You must cool cookies properly before placing in a tin because otherwise they will break before they are cool. My mother recently gave me linens my great grandmother received when she was a bride. Her name was Concetta. She was my father’s grandmother. We have the same initials so it is pretty cool to have these linens. I have vague and shadowy memories of my great grandparents on my father’s side. I remember visiting them with my father when I was a tiny child, around three, I think. I remember a tiny woman in black sitting in a chair speaking Italian, and I remember my great grandfather being a somewhat intimidating figure to a small child. I remember him being rather tall and jingling coins (change) in his pocket. Just a random memory . It is funny what children remember. Another thing I remember ? A particularly snowy Christmas in 1969. I was five and my sister two. We lived in Philadelphia at that time in Society Hill. There was so much snow that the trolleys and cars couldn’t run on the streets and I remember being pulled down the middle of our street on a sled. 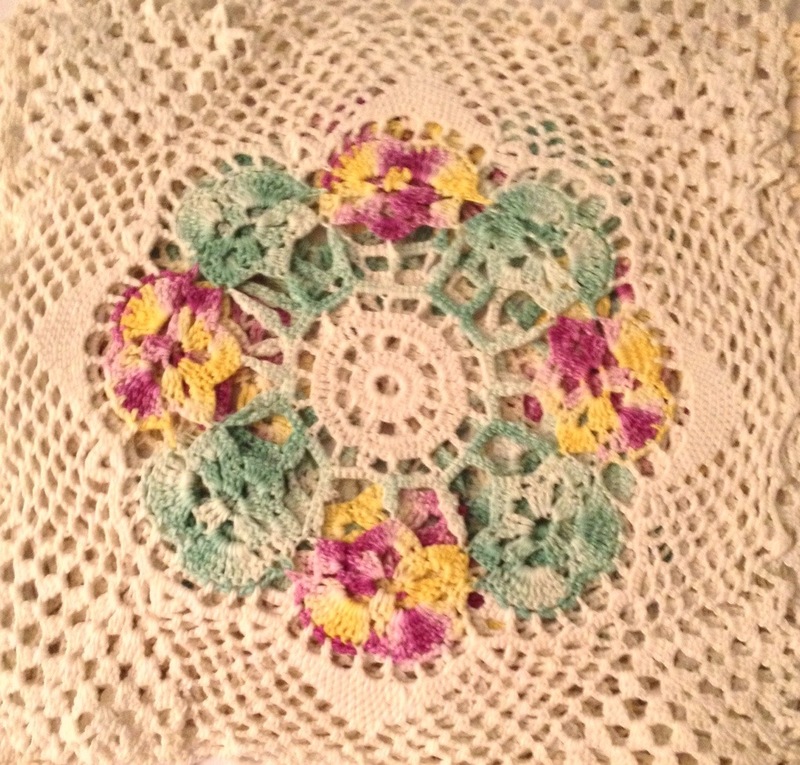 These old linens and pieces of handmade lace are easily over 100 years old. So I have wrapped them up in unbuffered acid-free archival tissue paper. It’s a must for old textiles especially if you don’t use them much. These linens also don’t get stored in the attic or basement because linens of this age require very even and stable temperatures as well as preferably a darker storage area. I wonder what Concetta looked like as a young bride? I never saw photos of her anywhere. I love old and vintage textiles but I generally prefer ones I can use. These linens are part of my family history so I have to treat them well, which means not using them a great deal. Thanks for indulging my walk down memory lane on another snowy evening.